Members of the Weintraub family gathered in 1963 in Chicago, Illinois, for a family simcha. 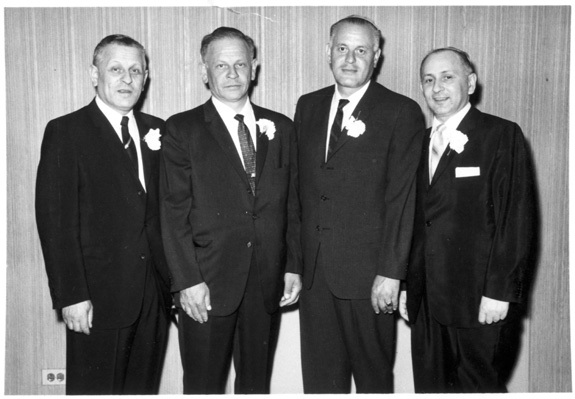 From left to right: Sam Weintraub, Avraham Weintraub, Leon Weintraub, and Seymour Weintraub. Sam and Leon both survived imprisonment in concentration camps during World War II; Avraham immigrated to Palestine in 1936; and Seymour immigrated to the United States as the war broke out.